Hospitality training, volunteering opportunities and more! Apply now for a 5-week hospitality and catering course delivered in partnership with Radisson Blu Edwardian! Learn everything you need to know about working in the hospitality sector and get a real chance at securing a job. Guaranteed job interviews for those that successfully complete the course. 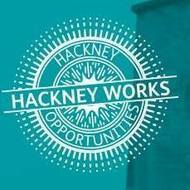 Email info@nptraining.co.uk to apply or contact your local Hackney Opportunity Hub. A community champion required to assist with sport and physical activities at King’s Hall Leisure Centre. In this role you will have the opportunity to carry out a variety of tasks within the leisure centre. Working with smaller groups within the session. There are six others on a range of topics including young people, jobs, and events in the borough.